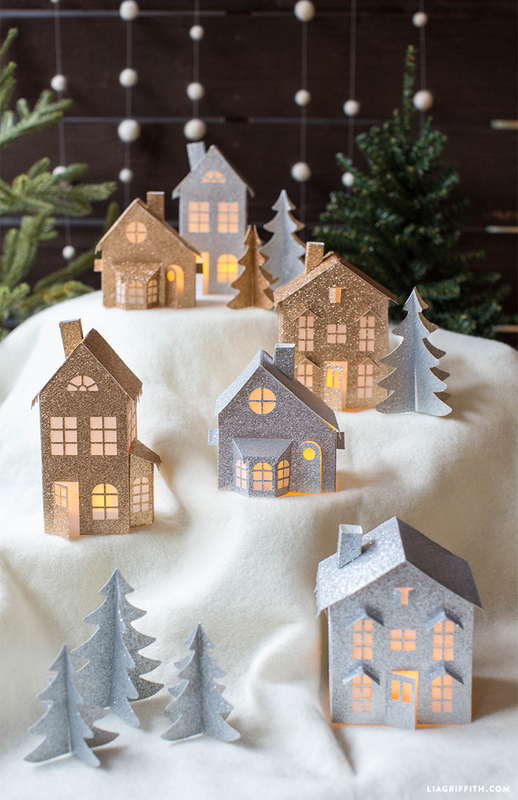 Our glittery paper winter village is a perfect decoration for the holiday season. It’s super easy to make if you have a cutting machine but can easily be cut by hand instead. The little paper houses look fab with a vellum in the windows and a flickering LED light in the center. In addition to the three different house designs, our download also includes templates for tiny paper fir trees. 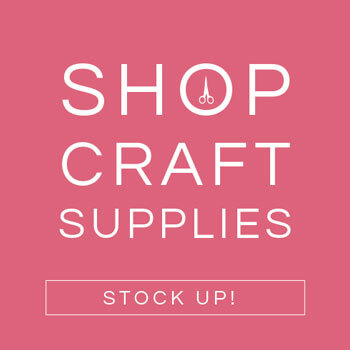 Gather your tools and materials, then get crafting! Once your templates are cut, assemble your paper Christmas village by folding the tabs and gluing them together with a low-temperature hot glue gun. Download the PDF version for more details. I’m so glad you found us! These houses are just so fun to make and they do make perfect gifts. There is a link in the post to the paper we used (a heavy glitter cardstock). Do you precut your Christmas village for tea lights and send by FEDEX so I can glue together? I live in the US Virgin Islands and no computer cutters are available. So sorry Twila, the village is only available as a printable pattern. I cut everything by hand before I got a cutting machine, so it’s certainly possible to make these with scissors & an exacto knife! I can’t seem to find the ‘directions’ on how to construct, once the templates are cut . . . not sure I used the right paper either. Can you direct me? I love these as a new take on the old Putz houses! Check out the PDF template download for more details! Ah! There we go – thanks! New to this site…so, is the 3D winter village PDF the correct printable file for the 3D paper Christmas village? Welcome! Yes, that’s the correct PDF. 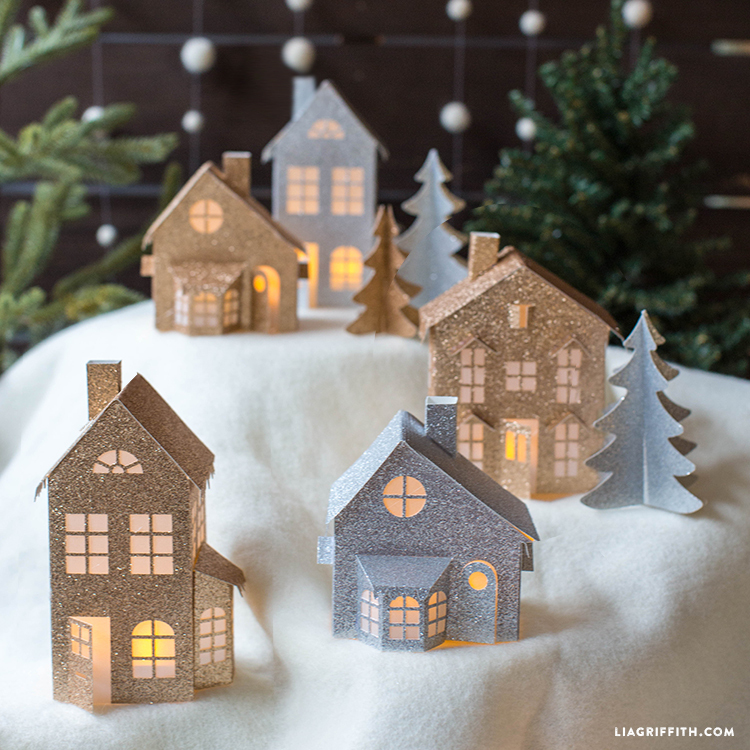 Hi there – very interested in your 3D Winter village pdf (I do not have a Cricut machine) – can you quote me on just that 1 file rather than joining as a monthly member?? Hi Eileen! We aren’t able to sell single downloads (yet!) 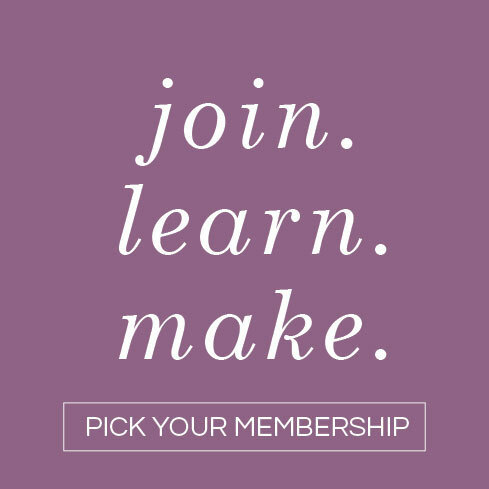 Your best option is to sign up for a monthly membership then cancel before your month is up, after you have downloaded the projects you want. Do I have to become a member in order to download this template? Is there a cutting machine that you would recommend? 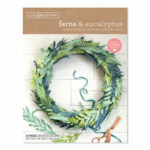 We use the Cricut Explore Air 2 and the Cricut Maker here in the studio! hi…the svg is coming into design space as though it is ‘open’…in other words, the lines are all there, but the entire image is checkerboarded…any ideas? Hi Carol, have you tried cutting yet? I just ran a test cut to be sure, and it cut just fine. Love the idea, and I’ve very new to this. I have a Cricut machine I’ve used for one project that’s it. I’m so having trouble with glitter paper. Is there a secret? Applicate any idea’s and help, a little weary of watching youtube videos with no avail. Hey do you think I’m not holding my mouth far enough to the right? Ha! Some glitter paper needs to be cut on a different setting, so you should play around with some test cuts if you can (try a notch or two past Cardstock). Our favorite glitter paper is “glitzy” found at JoAnn stores, it doesn’t flake off and is very easy to cut! 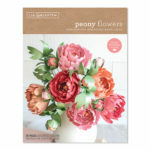 I think these will be excellent to put in your room for Chrismas! They fit in with the theme of Christmas perfectly! I just wanted to tell you how much I enjoyed your 3d Christmas Village. I sized the houses down on my cricut to make the houses the same size as some other glitter houses I have made. Yours will fit in just beautifully! The remind me of some of the lovely old homes i have seen here in Portland. Thanks so much for your amazing patterns! I’m sorry you’re having trouble with this one! As my team and our capabilities have grown, we have started adding more detailed instructions to our projects, but this is just one that we weren’t able to get to. If you have more specific questions that we can answer, feel free to send an email to hello@liagriffith.com! 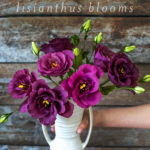 I helped my fiancée make these for my mother this Christmas – they turned out absolutely beautiful! Thanks for sharing them! I love how natural it looks – what is the fabric under the houses? I should have known. I have been searching the Internet for one year to find templates for houses. I found the templates, but did not want to cut them out. And here are the perfect houses on my very favorite website. I just needed to be patient. Guess I should make my granddaughters Happy Birthday banner first ? Thanks so much for reading my mind. Hi, total newbie here. Is there some place i can get instructions on how to do this on my new Cricut Explore Air. I’ve been following your designs for a while and love them so i’ve just subscribed. I don’t understand the previous question about saving cut lines to fold lines to cut lines and then grouping – what is that all about? I’ve downloaded the file, changed my material size to A4, loaded the scoring pen but the machine doesn’t know to score. Any pointers would be appreciated! Congratulations on your new Cricut!! Under “Options”, you have to designate certain lines to be score lines and certain lines to be cut lines. I would say that this is a better question for Cricut customer service. 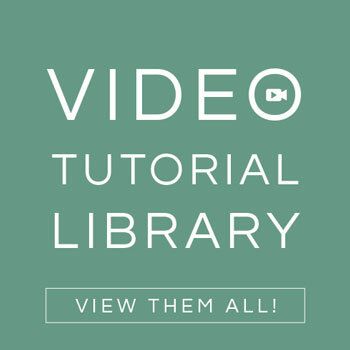 I also know that there are some helpful YouTube video tutorials that are floating around…good luck!! I have the Cricut Explore machine. I loaded the SVG file and uploaded to the Design Space. I then transferred the file onto the Design Space, then I ungroup the whole project and saved each fold as a “cut” line then I change it to a “fold” line. Afterwards, I highlighted all the images and attached them together. However when I went to print, it is still showing a page where there is just fold lines. I can’t figure out if I should just upload the images and just press “go” or am I thinking too much into it and shouldn’t be messing with the “cut” or “fold” function? Thank you for your help. It would gorgeous on my study window – north facing & full of sun (in the Southern Hemisphere). Hang on . . . . I could put some fairy lights along the sill and fit them inside the house. How cute would that look?